Join us in co-creating magic on our Sacred Avalon Pilgrimage in 2018. We are booking now. Aluna Joy Yaxk'in, Archangel Michael, The Order of the Marys, and a huge Etheric Healing team. We are inviting the Spirit of all that is, the great matrix of creation, to be with us here and now. We are calling on Mother Mary, Jeshua, Joseph of Arimathea, and all the sacred pilgrims that have come here in the past, and those that are still here in the present. We humbly ask that we might time travel back in time, with our spirits and our souls, to a place in ethereal memory where this land was pure and simple, with a holy spring bubbling up out of the ground. We ask that these holy waters and this healing land erase the sounds of the modern world out of our minds. Let us only hear the wind in the trees, the birds singing, and the sweet smell of the garden, so we can go back to a time when life was peaceful and uncluttered; a place where holy pilgrimage was a focus for life, not just a for a moment, an hour or a day. We are being asked to feel the loving presence of the three Marys, the Order of the Marys. Feel the protective presence Archangel Michael. 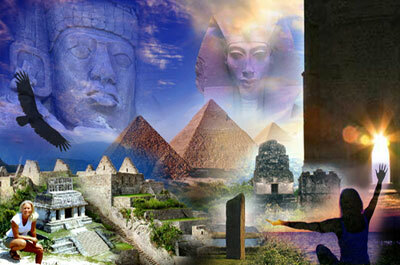 Feel the spirit of the sacred Tor and its spiraling energy lines. Send us a Heart Donation OR shop everyday with our unique AMAZON link and support us for free. Support our messages here and Thank You. 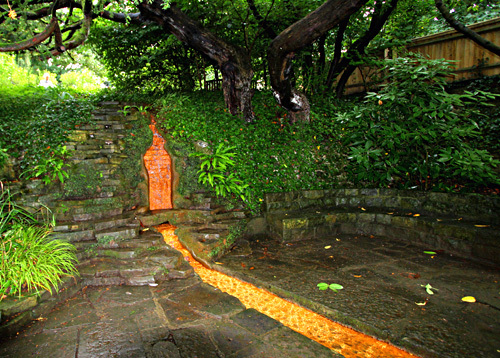 We ask to enter this place, before it was beautiful modern garden, when it was just a spring in the middle of a field on the side of an ancient sacred hill. Humbly, we ask for blessings and deep healing for all the things that ail us, all the things that are weighing heavily upon us and all the places where we have not cleared out past programming. We have come to this moment today to heal all the places where we were deeply wounded, and all the places where we have doubted ourselves. We ask that this holy place help us return to being clean, pure and crystal clear to remember who we are and why we came here. We ask the Holy Mothers, Holy Fathers and Great Spirit for these blessings not for our own personal gain. We ask for these blessings because we know that what we do for ourselves, we do for all beings and for every person on this Earth. We come here this day as servants of the divine plan with a burning desire to take our path yet another step forward. We call on all the Ancient Ones from all the religions of the world, and all the Ancient Ones from all the sacred sites around the world. We call on the presence of the Holy Dove that is not only anchored here at this sacred well, but is also anchored on the Plumed Serpent ley line in Palenque, Mexico. We, as living conduits, link together these grid lines through our bodies. We are remembering that which has always been true. We remember the holy pilgrimages that have gone from here to the Maya World and Palenque. We have felt Jeshua and Merlin travel these ley lines. And now, just by saying their names, they have showed up for this blessing as well. Dear Master Merlin, we ask you to help us to remember the magic. Not the magic that is manipulation of energy, but the pure magic that is already present in our hearts. The magic that is our natural god given attributes as human beings. This is the very magic that we were taught to fear, and the magic that we were programmed to forget. We are asking for the return of this magic (Magic, also like the qualities of the creative force of the universe, and powerful manifesting energies). Not the magic that has become tainted, misused or manipulated over time in the past, but the pure magic that rises up out of our hearts now. We ask you please to help us remember this place inside of ourselves. Again, we do not ask this only for ourselves, for our own personal gain, for power and for riches. But we ask because all of humanity is being called to awaken (and those reading this), and we have come here as a servants to humanity. We ask of the return of our magic like so many other Masters and Avatars of the past, so that we can break the thin glass ceiling that keeps us from obtaining full living mastery. We want to break this glass ceiling and allow ourselves to rise up and be living Masters, causing ripples of eye opening energy across the Earth through all lighted ley lines. We are doing this work from a place of equality in humanity. We do not consider ourselves lofty or special, nor do we come from inflated separating ego. We understand this is something that we were naturally born to do, just as our star families have done, and the master beings who have had physical bodies on this Earth have also obtained. They all broke through the glass ceiling. We are being called to break through to the next level. As Jeshua said when he walked in a body, "What I have done, you can also do and greater things". We are now asking for these greater things. Everyone in this circle (and those reading this) came to this moment to find these greater things within themselves, and we are asking our ancient allies and ancestors of light to help us receive all that we can in this moment, and in the moments that follow on this journey. We ask to find these greater things within us so we can be of greater service to humanity and this planet. We know that we have come to do something important in this world. May people's hearts be opened, and compassion and harmony reign in golden light, because we lived these lives, walked these paths, and walked as pilgrims upon this earth. 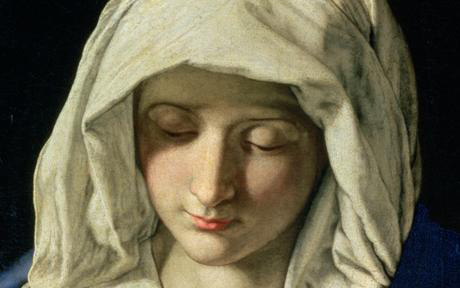 Now we are feeling the process begin with the presence of the Order of the Marys, and the energy of the great mother. We thank the Order of the Marys for their beautiful love coming in now. They are moving around the circle (and around those reading this), and they are putting a little blessing inside of each of our hearts. So if it is okay with you, you need to give permission to receive this. A little blessing of love that is so gentle, and so pure, that our toughened armored-up human selves might not recognize it at first. Ask Archangel Michael to help us here. Ask within, that just temporarily, for this moment in this holy place, in this sacred private protected place, to let down your warrior armor for just a moment, because we still need the armor in the outer world for a while longer. Now the Order of the Marys, that also includes the loving Magdalene energy, can now slip in that little bit of pure, sacred, powerful life force. If we still had our armor up, we might not accept it. So, it is up to you now to accept this little bit of golden flame, this pure light, love, peace and seed of creation. It looks like a pink rose that is on fire. It is very small but hugely powerful. With your permission, allow this light force to enter into your higher heart. You might feel a little pressure or tingle just below your throat and above you heart. 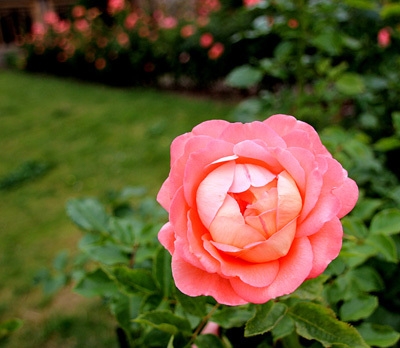 Open your heart door, and let this flaming pink rose in. Then gently close the door behind it to hold it sacred inside your heart, much like holding a new born baby. This is very much like planting a seed in the ground. You are covering it up, but you are not locking it away. You are covering it up so it can grow. So when they ask you to close the door, it doesn't mean close your heart down. It means to put this seed in the fertile soil in your heart so it can sprout. Does that make sense? I am hoping you can feel and see their presence, because they are floating around us now. The love, the absolute unconditional love, and the total lack of ego and judgment is astounding to me. There is no thought, nor do they feel themselves as separate. They are here in total service to humanity, as they always have been, and as we aspire to be. So take this moment to feel deep gratefulness as we sit in a circle together in this holy place. Recognize this blessing. This opportunity is a gift, and you were chosen to be here and experience this. So the ancient ones, that we have invited here, have recognized arriving here, and are floating around us. They have white robes that float like they are made out of air. They are floating like pure, white silk around us. Their faces are glowing. Their hands are emitting energy as they float around us, and they are clearing all mis-creations that we have absorbed from the outer world. They know that we live in a very sticky world. They honor us for the courage to be conduits to clear the Earth, and they are helping with this process. They know it is challenging to be in the outer world. They know that we struggle with the environment. They know that we struggle with humanity and the different varieties of energies they emits. They know that we struggle with our food sources. They know that we struggle with our water and air. They know that we are trying our best to be as pure as possible in a world that is just not supportive of this kind of pure path. We are courageous warriors. Now they are working on clearing out the core templates that were the foundation stones of all religions, so we can let go of separation and judgment. They are coming from a place where "religion" was living, fluid and evolved with the ages. Their focus was a deep connection to earth and sky, and body and spirit, that didn't have a religion, technique, process or rules. This is something that we might think of as a supernatural spiritual connection, but we all still have this inside of us. Over time and ages, our human reincarnating ancestors slowly but surely, generation after generation, with all their best intentions, slowly lost their connection, and this purity was programmed out of us. Religion was born in an attempt to hold on to this magic. But we have learned that the tighter you hold on, the more you squeeze the life out of it. Because of the blessing that we are receiving now, we will start turning the world around because the seeds are beginning to sprout in our hearts. As our seeds sprout, food will be more vital, the waters will run purer, and the air will be sweet again. They are saying that the birds will sing new songs, and they are showing me something about the animals that I don't understand as yet (a message regarding the sound of creation came up while in Yaxchillan Mexico months later - Dec 2017 - that I see now began here). The light around the Earth will change bit by bit, step by step, very gently, so every human being on Earth is not hurt, damaged, or overwhelmed (if this is their desire). Gently and slowly we will re-enter a world of peace, love and purity. There has been a place inside of our hearts that we have rarely revealed to anybody because it is so perfect, pure and sacred. We have protected this place from contamination over eons. What we are doing today is beginning to enter a world where we will be able to allow all our armor to finally come down, and allow this sacred place to shine out into the world. We can be who we know we truly are. They are helping us activate this place with our new seed which will sprout, and it will slowly begin to burst out of our hearts. 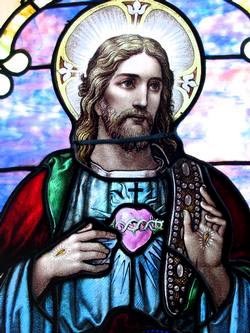 They are showing me pictures similar to Mexican catholic culture where you see the heart radiating out of the Jesus or Mary's chest. You can see rays of light coming out. We have waited a long time for this to manifest. Now we seal and anchoring this blessing into our being. 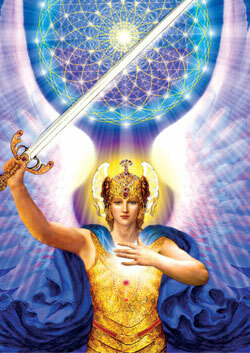 Archangel Michael is beginning an alignment and anchoring now. He is drawing his sacred sword/staff that looks like it is made out of solid gold. He is taking this sacred staff and drawing it down through the top of our heads, our crowns, all the way through our chakra systems, and through the center of our merkaba. This process continues and anchors us to the core of the Earth. This is an alignment of our kundalini with Mother Earth's kundalini. You can shift around if you are feeling uncomfortable. Please don't allow yourself to be uncomfortable. Notice everything. Move around until you feel aligned. Stretch and breathe. Now this staff, that goes through us and anchors to the core of the Earth, has a cross staff that comes right across our eyes. This looks like the sword handle. This is supposed to help us open our eyes so we can see the whole truth; not just our limited perceptions. I have never seen Archangel Michael do this before. There is also a little golden flame coming out of the top of our head, which is the top of his staff . . . like an eternal flame. This looks like he has completed this process, but the effect will take some time to sprout and take hold. All of those that we have called here today for this blessing, they are showing me just how happy they are that we have come to this point today. They are just so grateful that we are here (and you are reading this). I am feeling the love that they are feeling for us. Please allow yourself to feel this love. They are so pleased with us. They know that you have worked so hard and endured much in your service. Remember, you are more than good enough to make big changes in our world. Close your eyes, feel the light inside of you, and know that this is who you truly are. What you see in the mirror is just your current human space suit, and you all chose very clever physical disguises. You chose disguises so you can work incognito in this world. (They show me one last thing that is a huge reason why they are so pleased with us. It is the fact that keeps us humble.) 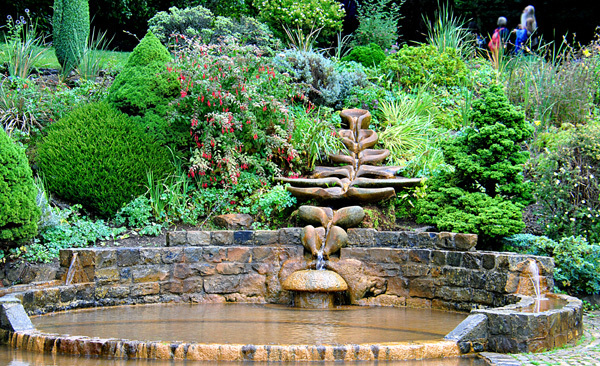 The depth and beauty of our work here is the knowledge that we may not see the fruition of the work. This work is not a sprint, but a huge, cosmic marathon. This is the fact that keeps us all humble. We serve without reward or acknowledgment. Sometimes we want to give up, because we can't see that we are getting results, or because we don't see the physical proof of our efforts. And then, after we go through layers of doubt and disappointment. We get up and keep on going. Sometimes we receive a confirmation that what we are doing together is truly divine. In closing . . . Archangel Michael is sharing now that you have this inside of you, and that when you go into the outer world, every step that you take you are going to anchor little, micro seeds everywhere. Blessing to you all ~ always. *** Please save me much time by answering email. Please post, respond or comment on this article on our post on FACEBOOK at https://www.facebook.com/alunajoyyaxkin/posts/1807353025951115 THANK YOU! (If you have a response that is quite personal, please feel free to email me : ) I simply can not answer all your emails. but the fact is that I really want to ;) YOUR insightful comments also benefit everyone else and helps us paint a bigger picture of what is evolving on Earth and Humanity. REMEMBER ~ PLEASE LIKE, COMMENT, and SHARE on our Public Facebook page, because Facebook limits the number of people who can see our updates that they have asked to see. If you want to experience more of this type of message, LIKE IT! Copyright Guidelines: Aluna Joy Yaxk'in - www.AlunaJoy.com - Ⓒ 1995-2018 - Unauthorized use and/or duplication of any material on our web site without permission from its author and/or owner is prohibited. RE-POSTING GUIDELINES: We appreciate your desire to share our messages and posts on your own web sites, Facebook pages, blogs, etc..., but for many reasons, our messages, posts and images need to you also place a WEB LINK to the posts in question. Thank you for your great support. We would not be able to continue this work if it were not for you. We send you awesome radiant blessings today and for the beautiful future that we are co-creating together. FACEBOOK SHARING IS ALLOWED and gratefully appreciated. 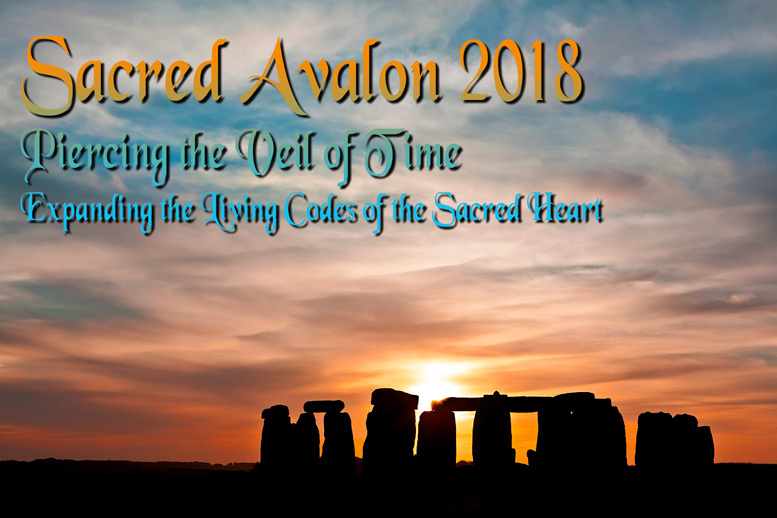 Join Aluna Joy and Marcus Mason on an in depth, heart-activating, Sacred Avalon Pilgrimage into a vast, new timelessness and expansion of the living codes of the heart. Bury St. Edmunds Cathedral/Abbey/St. Mary's Church, Rollright Stone Circle, Wayland Smithy, Dragon Hill, Uffington White Horse, Gog & Magog, The Town of Glastonbury, Glastonbury Tor, Wearyall Hill, A private visit in Chalice Well, St. John's Baptist Church, Glastonbury Abbey, A private visit INSIDE Stonehenge, Avebury Stone Circle, Archangel Michael's Chapel of Brentor, The English Crystal Barn (great energy here), Fairy filled St. Nectan's Glen, The Hurlers Stone Circle, Rocky Valley Labyrinth, King Arthur's Tintagel, Magical Merlin's Cave, The White Quartz Stone Circle of Duloe, St. Michael's Mount, Men-An-Tol, Boscowan-Un, Merrivale, Old Sarum and the famous Salisbury Cathedral . . . and more as time permits . . . plus surprises and magic.